The UN monitoring team's visit is taking place amid increasing pressure on Pakistan from the US and India with respect to the inadequate implementation of the sanctions on Saeed and entities linked to him. 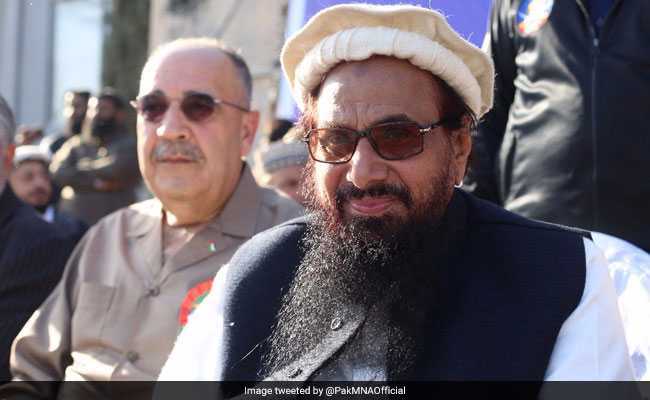 Washington: Pakistan will not allow the UN Security Council's sanctions monitoring committee any direct access to Mumbai attack mastermind and Jamaat-ud Dawa chief Hafiz Saeed or his entities, a media report said today. The monitoring team of the UNSC 1267 Sanctions Committee will visiting Islamabad this week for an assessment of Islamabad's compliance with the world body's sanctions regime. Saeed was listed under UN Security Council Resolution 1267 in December 2008. Citing senior officials at the foreign ministry, The Nation reported that the UNSC team's visit was not designed to "press Pakistan". The UNSC team, one official said, will visit Pakistan to discuss "official information" on issues relating to the banned outfits and implementation of the UN sanctions. "They will not seek access to the JuD or Hafiz Saeed and if they do that, we will not allow it. We have been in talks and this visit was scheduled," the official was quoted as saying by the paper. Citing another official, the paper said the UN team will hold meetings with Pakistani officials on the list of the sanctioned outfits. "We have been implementing the UN sanctions, so there is no panic. We are ready to answer their questions. We have been preparing," he said. The UNSC sanctions list includes the names of JuD, Lashkar-e-Taiba, Al-Qaeda, Tehreek-e-Taliban Pakistan, Lashkar-e-Jhangvi, Falah-e-Insaniyat Foundation (FIF) and other organisations and individuals. The UNSC monitoring committee oversees the sanctions measures imposed by the Security Council under the rules. The member states are required to freeze without delay the funds and other financial assets or economic resources of designated individuals and entities. Last week, Pakistan banned companies and individuals from making donations to the JuD, the FIF and other organizations on the UNSC sanctions list. Saeed was released from house arrest in Pakistan in November. He was under detention since January, 2017. Pakistan has remained under the Financial Action Task Force scanner over allegations by the US and India about the UNSC sanctions not being fully implemented.